Raisin > Check-it out: App Update + New Locations! Since Raisin was launched launch on April 8th 2016 and thanks to all your contributions to consolidating our amazing database, the number of places (bar, wine shops, restaurants) with a minimum of 30% of natural wine where you can quench your thirst, has grown from 700 to 1500. 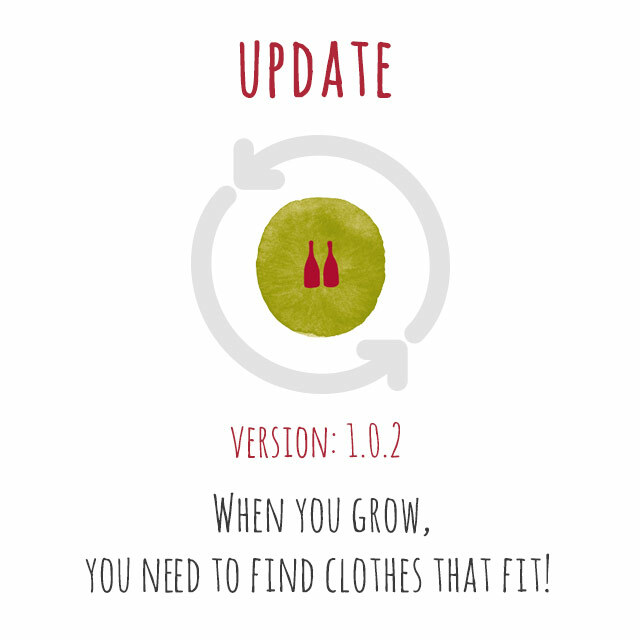 We now need to find clothes that fit! This is a technical update to increase speed and location display. These major improvements are not visible but we hope they will improve your experience. Next milestone, 2000 locations!